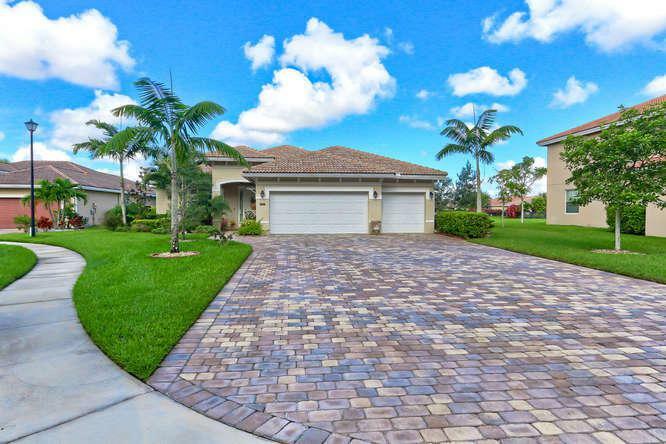 Beautiful 4 Bedroom + Den, 3 Bath, 3 Car Garage, Lake Front Home with an eastern facing exposure. Massive driveway at the end of a quite cul-de-sac. Plenty of room for a Pool. Kitchen recently upgraded with real wood cabinets and thick granite counters. This is a must see and a rare find of a one story home with a 3 car garage. House has Hurricane Impact Windows and Doors. Listing provided courtesy of Century 21 Wc Realty.